The sun is finally shining – we THINK the snow has finally given up (it is Buffalo though, so who knows?) 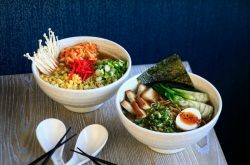 – so get out and make the most of this perfect spring weather at some of this month’s awesome events! Buffalo Center for Arts & Technology, 1221 Main St. Kick the month off with this incredible mixed media exhibit featuring works by African-American artists associated with Western New York. All of the works come from the private collection of Gerald Mead, a local curator, educator, and art collector. 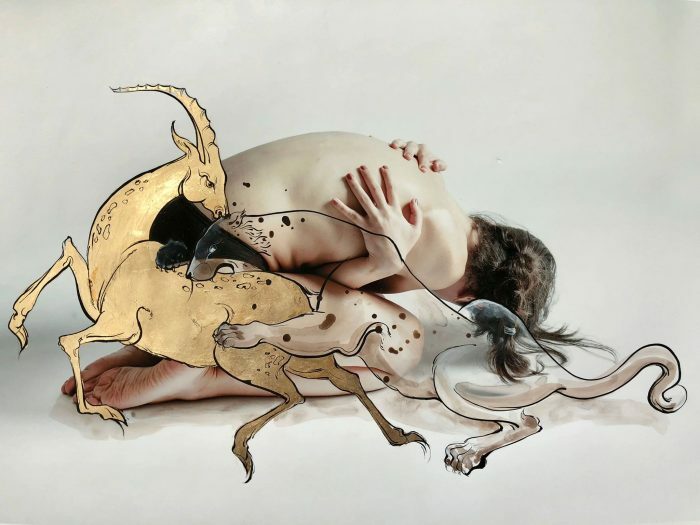 The pieces in this show represent 26 artists, each with their own unique style and artistic approach, running the gamut from emerging artists to those with national and international renown. One of the artists we’re most excited to see represented in this show is Rodney Taylor, a Buffalo/NYC-bred artist who has been quietly growing his reputation in the abstract art world for several decades and whose work has appeared in the Albright-Knox, Hallwalls, The Mexican Museum of Art, & more. This is a free event. Check out the full line-up of artists included in this show & learn more here. 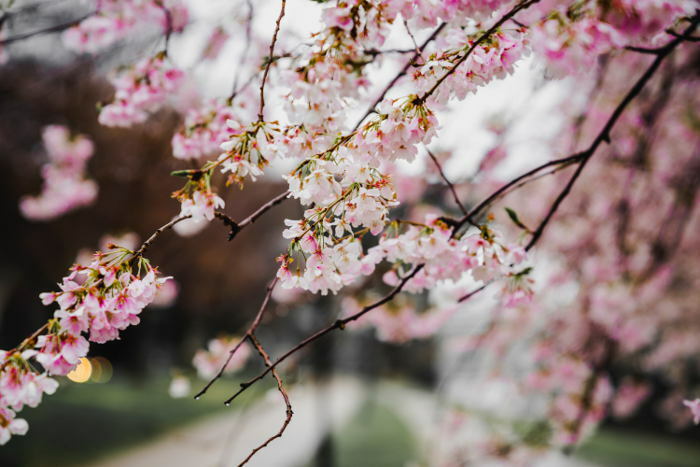 The Buffalo Cherry Blossom festival, a favorite springtime event for many locals, runs May 2 – May 6 this year at the Buffalo History Museum and includes a range of fabulous programming. We recommend hitting up the Festival on May 5, Music Day! The Japanese Gardens will be abuzz with spring fever, beautiful blossoms, and stellar music organized by local celebrity and Goo Goo Dolls bassist Robby Takac’s organization, Music Is Art. The line-up of performers includes a range of local and international musicians, including Takac himself performing with DJ Sashimi, as well as the Japan-based rock group The Molice. Live art, food trucks, and boat rides round out the day’s events – don’t miss out! This is a free event (it doesn’t get much better than that!). Learn more and check out the full festival schedule here. Paint the Town, 74 Allen St. Honestly – this might be one of the greatest ideas of all time. What better way to spend a Saturday night than getting together with some of your friends, blasting up the beats, and painting to everyone’s favorite lady right now, Cardi B? We’ll tell you what – nothing. 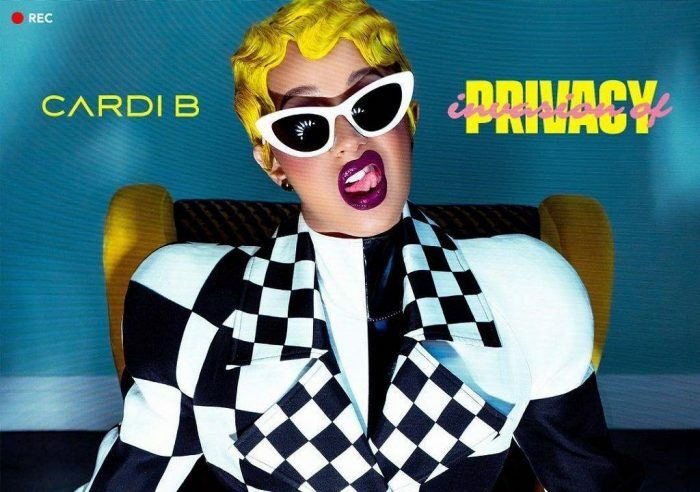 Admission to this event includes all the materials you’ll need to make a take-home masterpiece, as well as light refreshments and of course, some Bodak Yellow. Tickets are $30. More information and purchase tickets here. 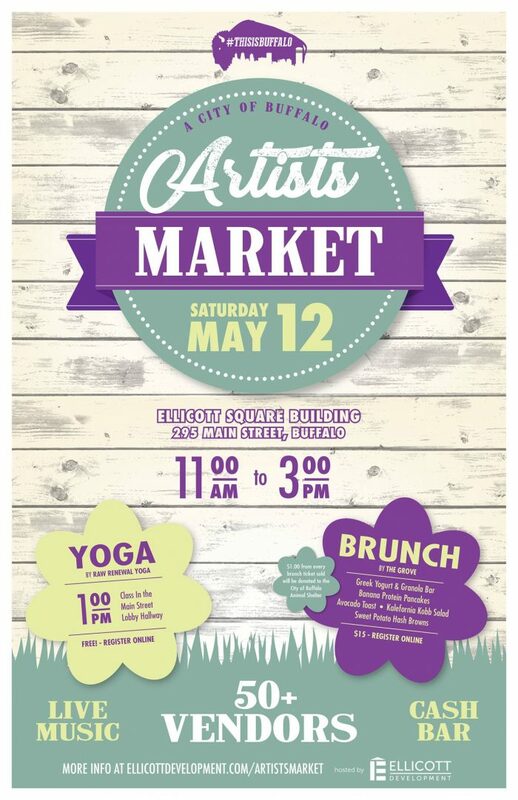 Ellicott Square Building, 295 Main St.
Support local artists at the annual A City of Buffalo Artist’s Market. Over 50 local vendors including artists of all genres, styles, and backgrounds will be at this event – which means this is a great place to get that last-minute *ahem* we mean really thoughtful gift for Mom! You could even turn this event into a gift itself – a buffet-style brunch catered by Grove and including an open bar is available for $15, with $1 from every ticket donated to the City of Buffalo Animal Shelter. You could even join in for a free yoga session with Raw Renewal Yoga – but space is limited, so make sure to pre-register! 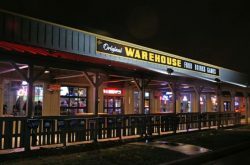 Learn more about this fun spring-time event, purchase brunch tickets, and sign up for yoga here. Sugar City, 1239 Niagara St.
Sugar City is one of the coolest, most inclusive art venues in the city – and this exhibit featuring Emily Sniegowski promises to be a reflective, energetic engagement with the human body. Taking up the idea of the human body as a dynamic, fluid canvas, the artist engages color, texture, and movement in these expressive photos. 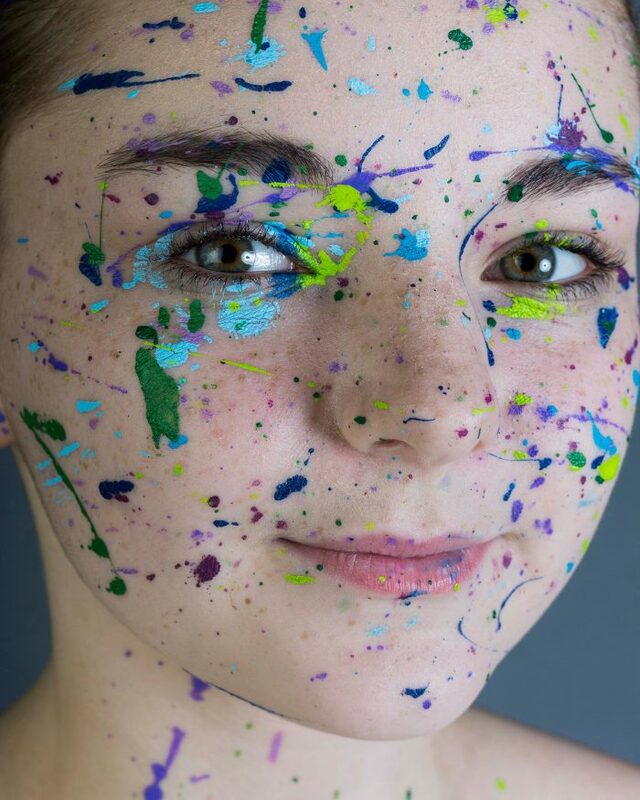 Sniegowski, a local artist and photographer completing her studies at Villa Marie College, has been featured in various other local art venues, including CEPA and the Paul William Beltz Family Art Gallery. Keep her on your radar. The superstitious-at-heart should make sure not to miss this crafty, preternatural event! Hosted by StudioHue, a locally-and woman-owned DIY craft studio, the night starts off with hand-making your very own personalized etched mug featuring your astrological sign. Don’t worry about messing up – the supportive and friendly staff walk you through every step of the way! 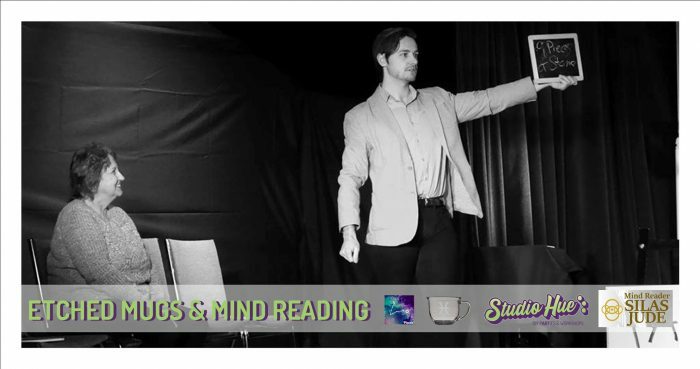 With your new mug in hand, sit back and get ready to have your mind blown by Silas Jude, a regional psychic who will engage the audience and – who knows – maybe even read YOUR mind. Tickets are $30, pre-registration is required. BYOB & snacks. Learn more & register here. El Museo, 91 Allen St.
Bring your friends for this opening of Sepideh Pourhang’s breathtaking exhibit, Repose. Pourhang, originally from Iran, interweaves Persian artistic influences and the process of erasure to create these arresting works. 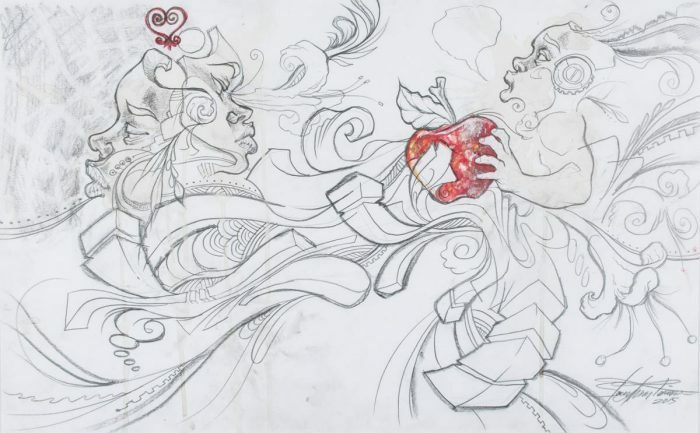 Confronting questions of culture, race, and gender head-on, these pieces center on identity as their primary theme. Using Persian techniques including “Tazhib” (illumination) and “Tashir” (ornamentation), Pourhang engages centuries-old artistic techniques to take part in the modern dialogue of how we can bring the experiences of marginalized women to the stage.